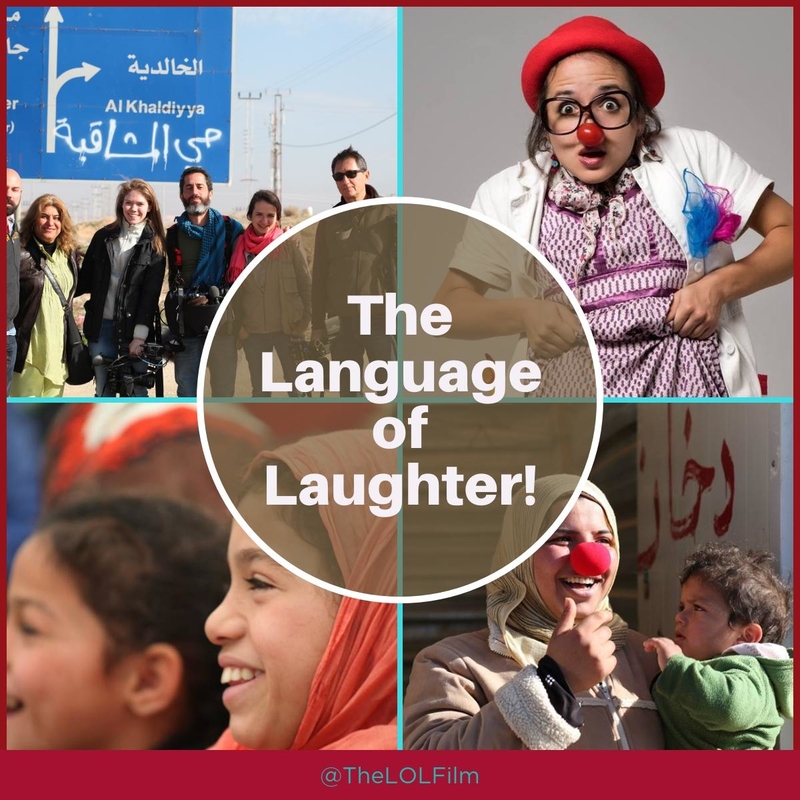 The Language of Laughter – Not your ordinary film! Remember just a few short months ago when the news was focused on the Syrian refugee crisis? Many media folks wrote op-ed pieces voicing the pros and cons of Syrian refugees entering various countries, such as the United States, Canada, etc. Even I felt compelled to weigh in as I penned last November a blog about my thoughts of this very difficult situation. Yet, as news cycles demonstrates on a routine basis, the passion for the crisis waned and was replaced in the headlines by crazy political tirades, reports of the all too many acts of terrorism and heinous crimes due to racial tensions. Don’t get me wrong, these are all very important topics – but, the situation concerning the Syrian refugee crisis still remains staggering! Millions of Syrian citizens, who left their homeland without much choice, continue to be displaced and living in conditions that most people would find unfathomable and unacceptable. The Syrian refugee crisis is complicated, fraught with controversy and tragic. Many of these refugees have been relocated to the Syrian – Jordanian border and living in a way that seems without hope. Every day children are witnessing scenes that are too sad for even most adults. They are being robbed of one thing every child should have – an opportunity to have a carefree childhood. They are trying to survive in a land where “hope” is often lost. Except “hope” did arrive to the some Syrian refugees at the Zaatari Refugee Camp along with a heavy dose of laughter thanks to the Red Noses Clown Doctors International organization – a clown troupe extraordinaire! The Red Noses Clown Doctors International are literally life savers. To me they give kids who have forgotten how to dream, play and imagine a tangible reminder. They have offered parents, who only want their children to be happy, a reason to smile themselves. And, the story of how these clowns found their way to a Syrian refugee camp is nothing but amazing, itself. I was the most skeptical of all. But I know, that by nature, laughter has no borders. It is the shortest distance between two people. As silly as it might sound, it leads to both understanding and compassion. These are the two things much of the world needs in order to tackle our growing, and global, refugee crisis. As you can see from this slideshow, that laughter IS the best medicine here in the Zaatari Refugee Camp. Wouldn’t it be nice if we can keep the laughter going in the lives of these children by telling their story through a film which will in turn continue to shine a much needed spotlight on the plight of these refugee families? Isn’t an act of #SocialGood a great way to help make the world a bit brighter? If you are compelled to learn more about the film: The Language of Laughter, please see their Seed and Spark page. Here you will find many videos that give you even more insight, including one I snatched and uploaded below. Also, you can get some groovy incentive gifts if you wish to contribute. Who wouldn’t love to show their support and get a red nose, too! Most of all, let’s show the world that we are a world of compassion. United by what we have similar than different. You can share this story easily by visiting The Language of Laughter on FACEBOOK or TWITTER. I also will be uploading a Part 2 with some Q and A from Reilly Dowd. Stay tuned.